Under the federalist system we know and love, many responsibilities are divided up among federal, state, and local governments. This has allowed many programs and statutes to be streamlined for citizens. Broader programs like Social Security are given to the federal government to standardize the retirement process for all citizens while more nuanced legislation, such as the regulation of the sale of drugs and alcohol, is left to the states, allowing for more citizen input. However, America’s electoral system perpetuates many variables in conflict with our ideal of democracy. Currently, federal elections are held on one Tuesday every two years at the national level. Even so, this practice seems to be one of the few electoral continuities across state and local entities throughout the country. The enfranchisement of voters, the way polling locations are run, and the requirements for ballot representation are, for the most part, at the will of the party in control of the state legislature. These issues have manifested themselves throughout the 2018 midterm election process. In the weeks leading up to the election, a law supported by Georgia Secretary of State Brian Kemp, who happened to be running for governor of that state, withheld over 53,000 voter registration applications from being processed, a majority of which belonged to black voters. In areas like Florida where the counts for governor and senator were too close to call, cries for every vote to be counted were denounced by President Donald Trump. He falsely claimed that “the Florida Election should be called in favor of Rick Scott and Ron DeSantis in that large numbers of new ballots showed up out of nowhere, and many ballots are missing or forged. An honest vote count is no longer possible — ballots massively infected.” A similar issue even occurred at UC San Diego, where on-campus precincts ran out of English-language paper ballots as the polling hours drew to a close. Furthermore, even though the election is long over, there are still votes being counted. As of Nov. 14, eight House races, two Senate races, and two gubernatorial races have yet to be called. While the Senate race in Mississippi is delayed due to a runoff rule, the long counting times of the other states can be attributed to the varying state legislation determining how votes are counted. While some states have stricter measures in place to ensure that all votes are received and counted by Election Day, others have looser policies, which leads to votes continuing to trickle in weeks after the official election occurs. The fear of an outside group interfering in the electoral process, as was seen in the 2016 presidential election, further complicates the discussion on how to fully extend voter enfranchisement and ease as many citizens into the process as possible. However, one need not look further than West Virginia and Oregon to find a possible solution. In West Virginia, new voting machines were implemented in 2018 to try to prevent hacking and speed up the vote-counting process. Although these machines are digital, they print out a paper ballot for every voter, and the vote count is connected through a closed-circuit system, meaning that the whole voting system is not connected to the internet. These measures have greatly decreased the risk of outside manipulation while also streamlining the vote-counting process. 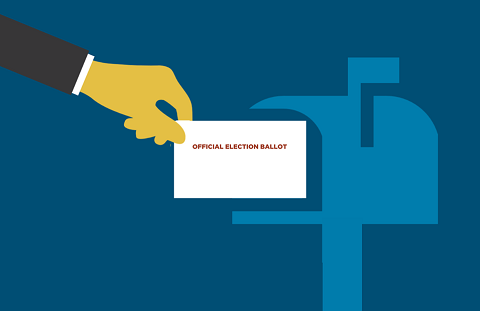 Likewise, in Oregon, vote-by-mail was implemented to ensure that every registered voter would not have an excuse to opt out of this year’s elections; voters only need to have their ballot received by 8 p.m. on Election Day, which can include turning in the physical ballot at a polling location. This method has lead to an increase in voter turnout in comparison to the rest of the country. In order for the United States to fully enfranchise its citizens, speed up the ballot counting process, and facilitate a higher level of democracy, the country must create a system that ensures everyone has equal access to the ballot. This can be done through several steps. First, the federal government ought to register everyone to vote at birth. Since every U.S. citizen has a Social Security number assigned at birth, this will ensure that no one is prevented from registering due to niche local laws. Next, all states should implement universal vote-by-mail. This program would ensure that everyone can receive a ballot with plenty of time ahead of the election to fully do their research and come to conclusions on who to vote for. Also, the national government must make Election Day a federal holiday. It is absurd that Election Day is held on a workday. Many people, especially those with a lower socioeconomic status, do not have the ability to take time off to vote or may be pressured by their employers not to do so. Making elections a federal holiday would remove an economic barrier to voting for low-income voters. Finally, elections should use closed internet machines that also leave a paper trail. This will greatly minimize the chance for election fraud and external interference. The United States is built upon the principle that we all are created equal. If implementation of this virtue is to be held accountable, the United States must standardize these changes to the election process in order to facilitate genuine democratic representation of the people, by the people, and, most importantly, for the people.